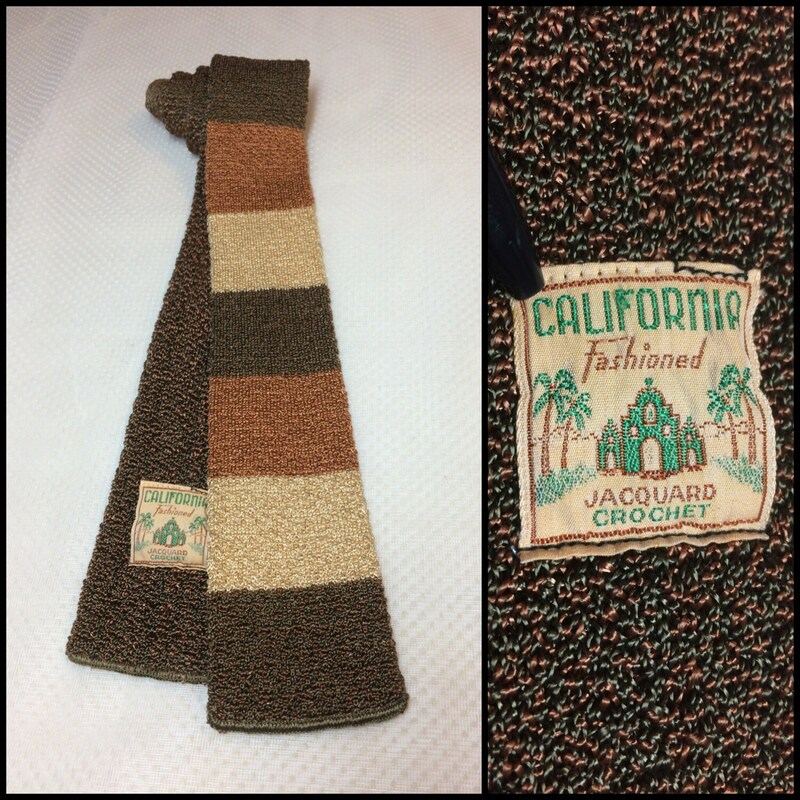 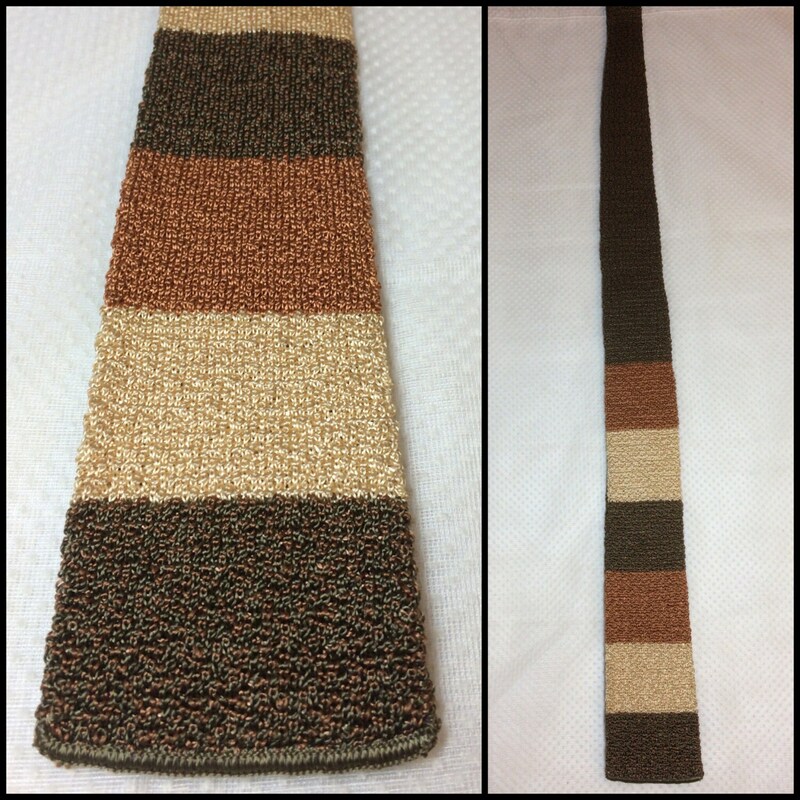 Here's a crocheted rayon necktie from the 1940's. 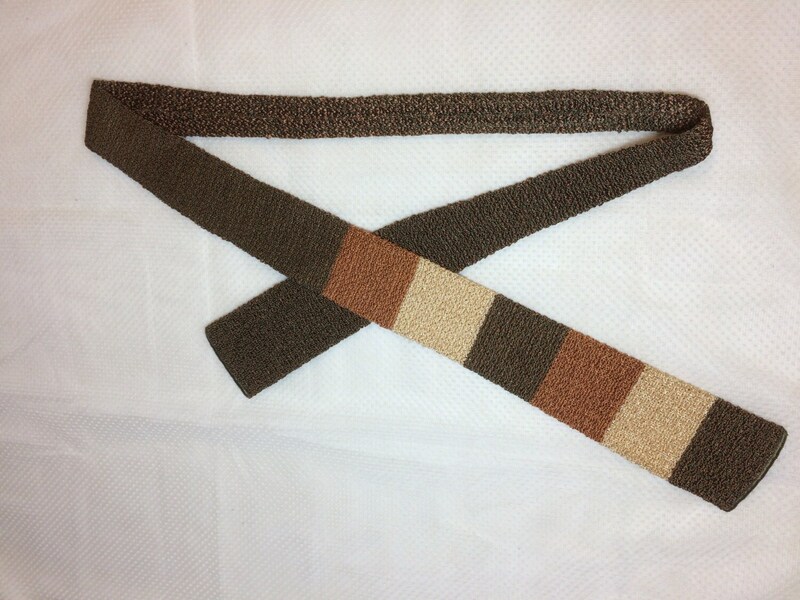 There's some dark green crocheted into the brown sections, see photos. 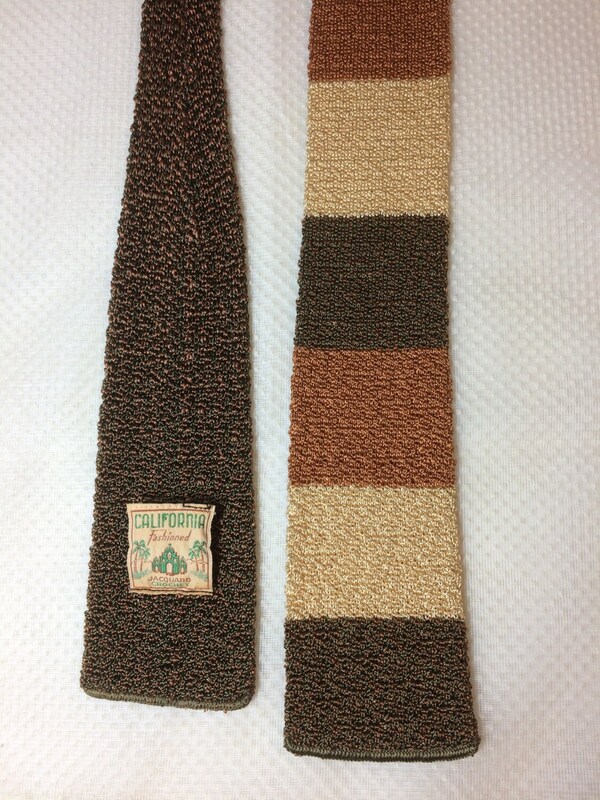 The label is loose on one side, otherwise it's in excellent used condition. 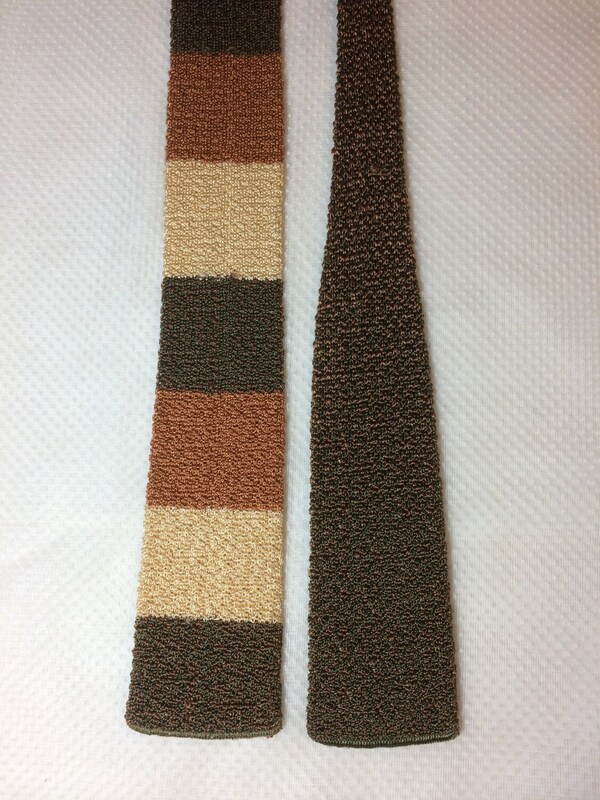 neckties from the 1940's are shorter than modern day ties, please check the measurements.